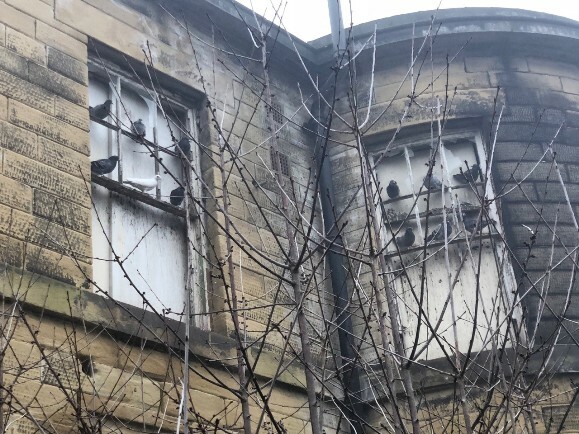 A Grade II listed building which has been derelict for over 15 years and on the Leeds Council Buildings At Risk Register since 2009, has been offered a lifeline by Leeds-based property developer C W Langton Ltd, who specialises in Listed Building Refurbishment and new build homes. Leeds City Council have been asked for pre-application advice on Fernville House, a Grade II listed mansion situated in Roundhay, by the developer who has agreed a finance package with Lloyds Bank, subject to the viable scheme being approved. In the last 20 years, the historic mansion has suffered fire damage, dry and wet rot, vandalism and is now structurally unstable. While refurbishment of the villa is not economically viable, the plot has sufficient residual land to allow enabling development to fund the villas restoration. The 140-year-old mansion is hidden well behind a residential area on Dib Lane. Last occupied in the form of five flats under the ownership of Leeds City Council, it was listed on the 2009 Buildings at Risk in Leeds report as one of the top targets featuring at number 4 of the top 6 on the list. In 2007-09 Leeds Council’s target was to ‘resolve’ at least ten buildings at risk per year. The plans submitted by C W Langton Ltd comprise of 13 family homes on the site and are in line with the Leeds City Council’s Density Policy. C W Langton Ltd’s viability study has pointed to an economically viable scheme to save the listed building having 13 units on the site which is in line with the council housing density policy. This would be made up of much needed family homes all with parking and private gardens.